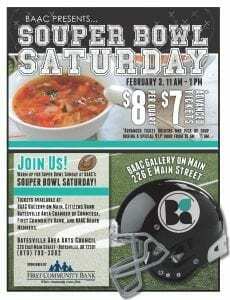 February Workshops & Events at BAAC Starting Souper Bowl Saturday This Weekend!! Tuesday, February 6, 6 p.m. – 8 p.m.
Thursday, February 8, 6 p.m. – 8 p.m. The perfect date to celebrate Valentine’s Day! 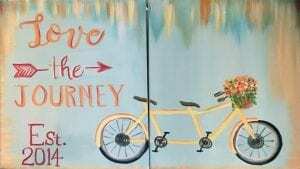 Bring your significant other to a fun & relaxing evening of painting! Participants sign up as a pair, and each will create a separate painting on an 11×14 canvas that will fit together as one painting. 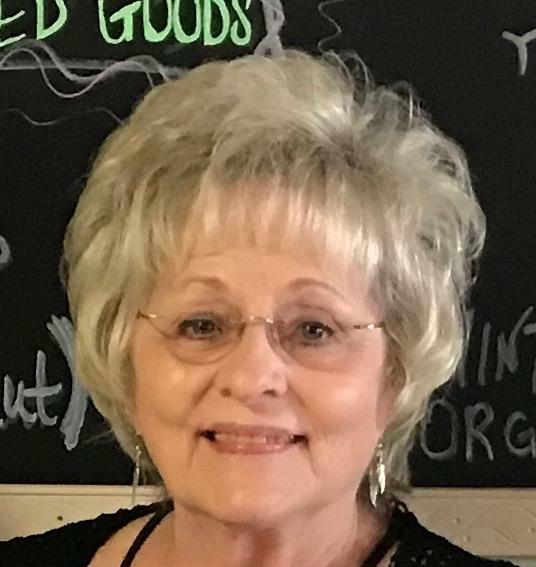 BAAC will provide participants with all of the supplies needed. Saturday, Feb. 10, 10:30 a.m. – 1:30 p.m.